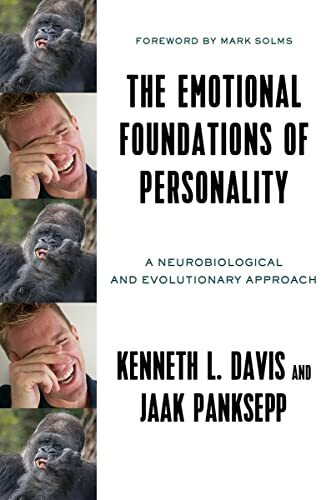 In The emotional foundations of personality: A neurobiological and evolutionary approach, Ken Davis and Jaak Panksepp offer a reasoned argument for the adoption of a personality model informed by neuroscience. In addition, they present a novel personality inventory (i.e., Affective Neuroscience Personality Scale, ANPS) based on the proposed model. The basic assumption upon which the authors’ proposal relies is that emotional processes are key to understanding individual differences. Indeed, they suggest that individual differences arise from specific brain mechanisms whose variable sensitivity leads people to select, view, and respond to life experiences differently. Although such brain mechanisms are genetically determined to process basic emotions, they can be modified, to a certain extent, by learning. Namely, their unique responses do not change, but rather life experiences may change the events to which such responses are made. For instance, the authors explain that learning does not impact the qualitative characteristics of the feeling of fear, but rather what people fear, as well as the intensity and duration of the affect experienced. Davis and Panksepp identify six basic emotions, which are seen as motivators of human actions as well as sources of bias in perception, thought and action, each with an underlying brain system. Emotions with positive affect are seeking/enthusiasm (i.e., igniting exploration), play/joy (i.e., fueling social engagement), and care/nurturance (i.e., motivating pro-social behavior), whereas those with negative affect are fear/anxiety (preparing the body to react to danger), panic/sadness (i.e., expressing separation distress), and rage/anger (responding to loss of resources). The authors place the identified basic emotions along the evolutionary path. For instance, they suggest that seeking, rage and fear likely reflect a reptilian brain, while care, panic, and play are related to a mammalian brain. The ancillary assumption upon which the authors’ proposal is based asserts that the feelings associated with each identified basic emotion are embedded in people’s life experiences as described by individual statements/items of the ANPS. Thus, candid responses to the statements of the ANPS have the ability to capture people’s unique patterns of emotional responsiveness, patterns that reflect the six genetically endowed basic emotions that constitute the tenets of the ANPS. Yet, can language adequately translate the feelings underlying the physiological responses of basic emotions? Reflections (including interpretations based on contextual information) unavoidably distort the products of purportedly direct acts of detection. Most importantly, can the patterns of physiological responses that differentiate basic emotions (Levenson, Ekman, & Friesen, 1990) be accurately read by the human mind? In daily life, often physiological changes may be too subtle and not sufficiently differentiated to create the many shades that people experience as feelings. Perhaps instead of a scale made of verbal items, pictures may be a more direct way of detecting people’s unique patterns of emotional responsiveness. The authors’ personality model is sensible but ANPS ought to undergo further inquiry to demonstrate its theoretical and practical plausibility in comparison with extant alternative models. Nevertheless, Davis and Panksepp must be commended for their insight into human affective processing. They observe that one of the most popular personality models, the five-factor model or, more informally, the Big Five (McCrae & Costa, 2008), clusters most negative basic emotions (i.e., rage/anger, fear/anxiety, and panic/sadness) into one (i.e., emotional stability), blurring important differences in people’s emotional experiences. The Big Five is a top-down model based on a statistical technique called factor analysis which groups together people’s responses to a set of common descriptors of human differences in temperament. Such a top-down approach contrasts with the authors’ method of developing a model of individual differences seized from the field of neuroscience. Undoubtedly, affect plays a key role in their model of personality, whereas cognitive factors play a key role in the Big Five and other popular personality models, such as HEXACO (Lee & Ashton, 2012; 2018). Nevertheless, correspondences do exist between the groupings of emotions of the ANPS and the factors of the Big Five. For instance, play/joy may correspond to extraversion, seeking/enthusiasm to openness, and care/nurturance to agreeableness. Davis and Panksepp observe that the strength of their proposed model of personality is indeed what they call “a bottom-up approach”. Namely, their model acknowledges the basic circuitries of the brains of animals along the evolutionary scale and the unique role of the cortex. By doing so, it recognizes the difference between genetically dictated and developmentally shaped processes in human emotional responsiveness. The methodological approach ingrained in the model of personality proposed by Davis and Panksepp is not only sensible but also a noteworthy step in the direction of a more precise, evidence-based understanding of human personality. The emotional foundations of personality: A neurobiological and evolutionary approach is an invaluable conversation starter for an overdue discussion on the nature of individual differences as well as on the tenets upon which personality theories rely. In it, the authors highlight the benefits of bridging the methodological gap between the classical top-down approaches to personality research and a bottom-up approach based on cross-species evidence from neuroscience. It is a delightfully written text that informs, and at the same time, engages the reader to think deeply about the unresolved issues that surround the task of parsimoniously describing and adequately understanding individual differences. Costa, P. T., & McCrae, R. R. (2008). The revised neo personality inventory (neo-pi-r). The SAGE handbook of personality theory and assessment, 2(2), 179-198. Lee, K., & Ashton, M. C. (2012). The H factor of personality: Why some people are manipulative, self- entitled, materialistic, and exploitive— and why it matters. Waterloo, ON: Wilfrid Laurier University Press. Lee, K., & Ashton, M. C. (2018). Psychometric properties of the HEXACO-100. Assessment, 25, 543-556. Levenson, R. W., Ekman, P., & Friesen, W. V. (1990). Voluntary facial action generates emotion-specific autonomic nervous system activity. Psychophysiology, 27(4), 363-384.